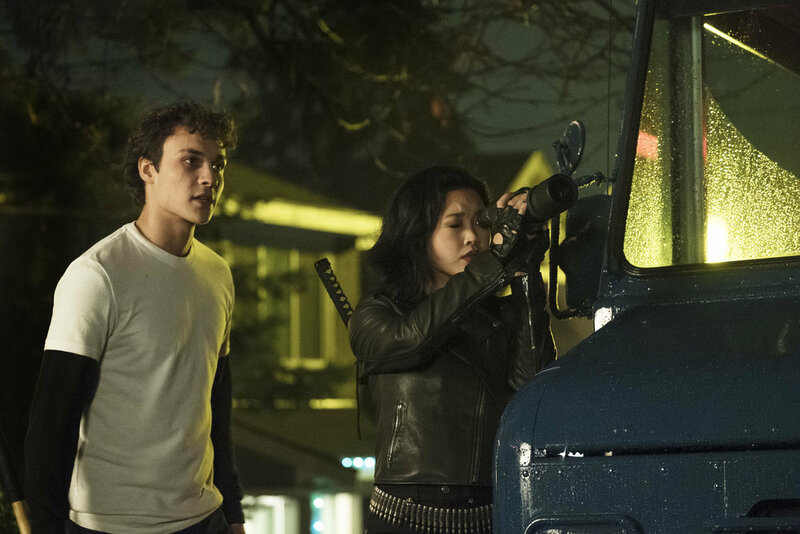 SYFY’s Deadly Class is one of the best comic book adaptations on television, and last night the series wrapped its solid first season with a thrilling, emotional, and hilarious episode in true Deadly Class fashion. ComingSoon.net spoke with star Benjamin Wadsworth about the epic season finale, Marcus’ confrontation with Chester, and how Marcus really feels about Saya and Maria. Check out the interview below and share your thoughts on the Deadly Class Season 1 finale! Deadly Class is set in a dark, comic book world against the backdrop of the late ’80s counterculture. The story follows a homeless teen, Marcus (Benjamin Wadsworth), that is recruited into a storied elite private school where the world’s top crime families send their next generations. Maintaining his moral code while surviving a ruthless curriculum, vicious social cliques, and his own adolescent uncertainties soon prove to be vital. Based on the best-selling 2014 Image Comics graphic novel by Rick Remender and Wes Craig, Deadly Class is a coming-of-age journey full of ancient mystery and teen angst. 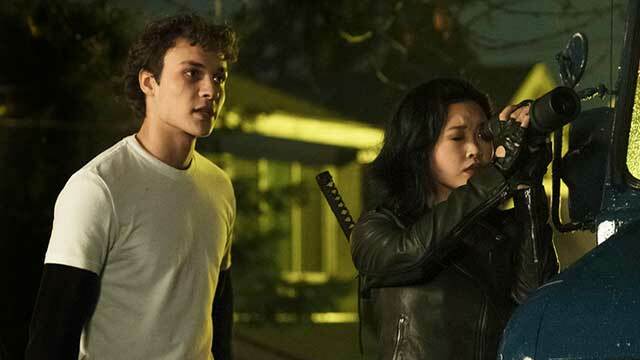 From Sony Pictures Television and Universal Cable Productions, Deadly Class was adapted for television by Remender and Miles Orion Feldsott, who serve as executive producers alongside Joe Russo (Avengers: Infinity War, Captain America: Civil War), Anthony Russo (Avengers: Infinity War, Captain America: Civil War), Mike Larocca (Spy) and Mick Betancourt (The Purge, Shots Fired). Remender, Feldsott, and Betancourt also share showrunner duties on the series. Deadly Class stars Wadsworth, Benedict Wong, Lana Condor, María Gabriela de Faría, Luke Tennie, Liam James, and Michel Duval. ComingSoon.net: How much fun did you have filming those crazy fight scenes in the finale? Benjamin Wadsworth: I had a lot of fun. The fight scenes are some of my favorite things to do. I enjoy working with our stunt doubles and taking hits and giving them. CS: When Marcus follows Chester down to the basement, what’s going through his mind? Wadsworth: [Laughs] He’s very sure that he needs to kill Chester, but I think he’s also really terrified considering that there’s no lights on and the only light he has to guide him through this basement is his lighter. And there’s just a bunch of dogs everywhere and humans in cages. He’s not really having a great time. CS: It’s a pretty unsettling scene. 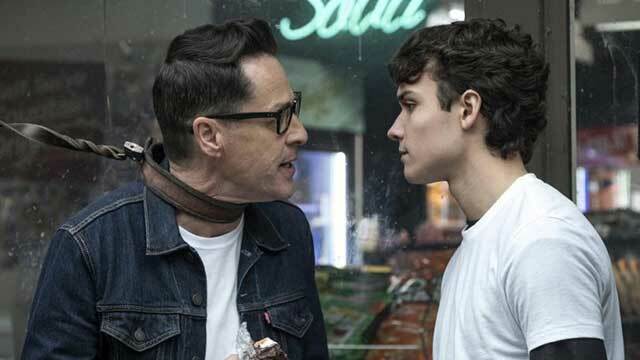 Do you think for Marcus killing F*ckface is more about getting rid of someone who’s dangerous and saving lives or was it also a little bit of revenge for Marcus? Wadsworth: I think it was definitely a bit of both. But, once Marcus started listening to F*ckface’s rant I think he kind of realized that revenge isn’t the answer. CS: That scene between you and Tom [Stevens] when Chester gets really emotional is my favorite part of the finale. What was it like filming that? Wadsworth: It was intense. There was a lot of dialogue. I’m really good pals with Tom so, you know, it’s always a little strange acting so mean to him. But I really enjoy working with the cast all the time so I think it was great. I had a lot of fun. CS: If Marcus survives the encounter with El Diablo, how will he deal with his family unit being fractured? Willie left, Saya said she’s done, and obviously what happens to Lex. How do you think he’s going to deal with everything? Wadsworth: I think at this moment he thinks it’s the end. He’s been through so much at this point and if they get caught for this, I mean, Lin did what he did to him in the previous episode just because he snuck out of his dorm room. I can’t really imagine what’s gonna happen after this. CS: What was it like filming that episode with Jack [Gillett] knowing it was Lex’s swan song? Wadsworth: We shot the last episode before we shot episode eight. We’d already been kind of getting used to it. I love Jack. We just tried to enjoy as much of it as we could. Those shoots were pretty hard. We were doing about 16, 17 hour days and those were night shoots. CS: Marcus told F*ckface that he changed his mind about killing Ronald Reagan. Did him changing his mind have to do with the conversation he had with the Scorpio Slasher over what they had in common? Wadsworth: I mean, maybe, that was probably something that was in Marcus’ mind whenever he was coming to his conclusion. I think he also kind of just realized that he was being a bit of a hypocrite. I think he understood that it wasn’t really good to just put all the blame on Reagan. He thought it was better to just try to forgive and not seek out revenge. CS: Switching gears a little, Marcus has now told Saya and Maria that he loves them but in different contexts. Do you think that he is genuinely in love with either of them? Wadsworth: I think he thinks that it’s real love, but I don’t think Marcus is experiencing true love. It’s different levels of infatuation for both [of them]. CS: Willie and Petra have both accused Marcus of being narcissistic. What’s your take on that? Wadsworth: Yeah, he’s a bit narcissistic. I mean, it kind of makes sense considering the backstory he has. But, we all are kind of in some ways. Marcus is a very opinionated teenager and he likes to give his opinion even when no one asks for them. I would say he’s a bit of a narcissist. CS: I’m keeping my fingers crossed for a second season, but what has been your favorite part about playing Marcus? Wadsworth: I like playing characters who aren’t your average boy next door characters. I like the damaged goods. You know, characters that can show a variety of emotion, and that’s what I’ve really enjoyed about playing Marcus. He’s happy, he’s sad, he’s mad, he’s angry and all those things. 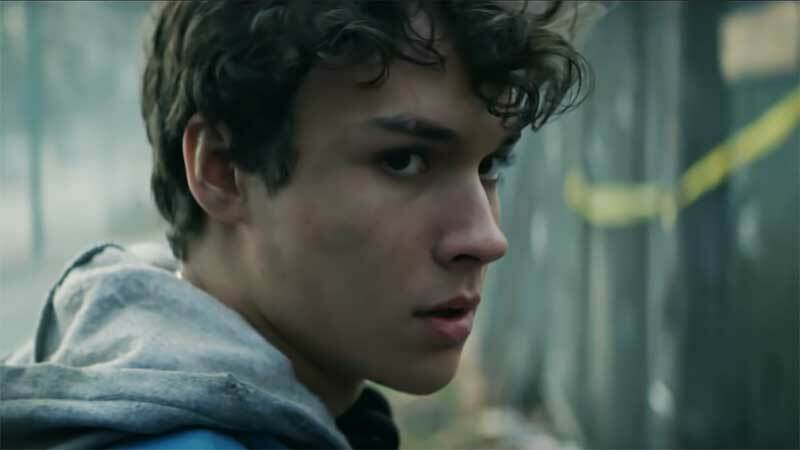 You can stream the first season of Deadly Class on SYFY’s website, Amazon Prime Video, and YouTube. The post CS Interview: Benjamin Wadsworth Talks Deadly Class Season Finale appeared first on ComingSoon.net.